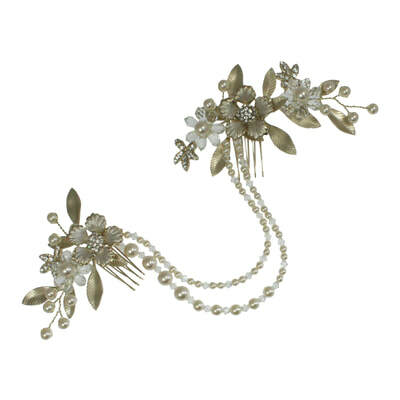 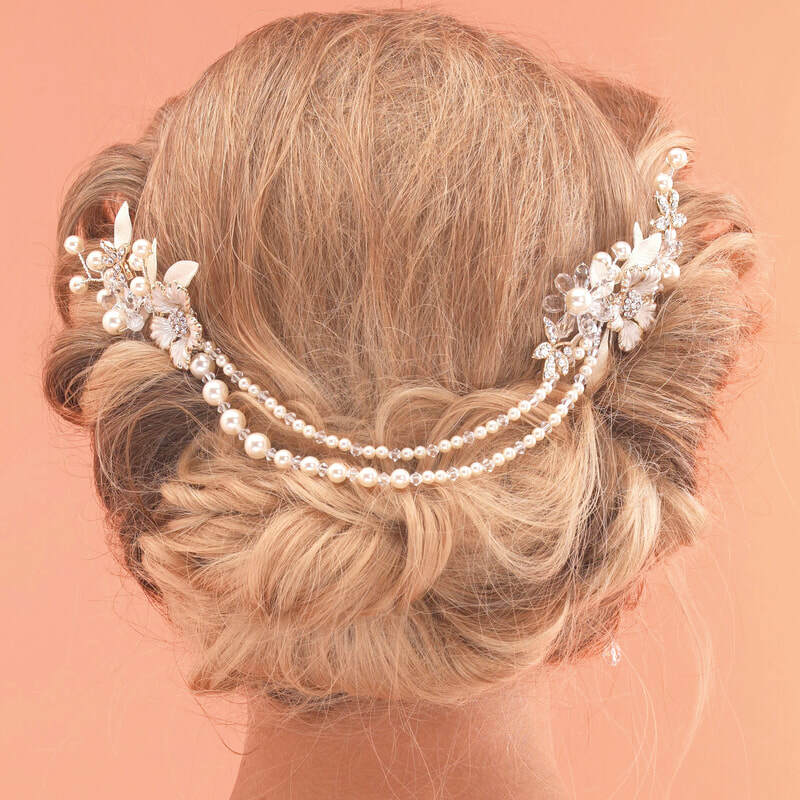 Elegant floral combs with two strands of pearl & crystal draped between. 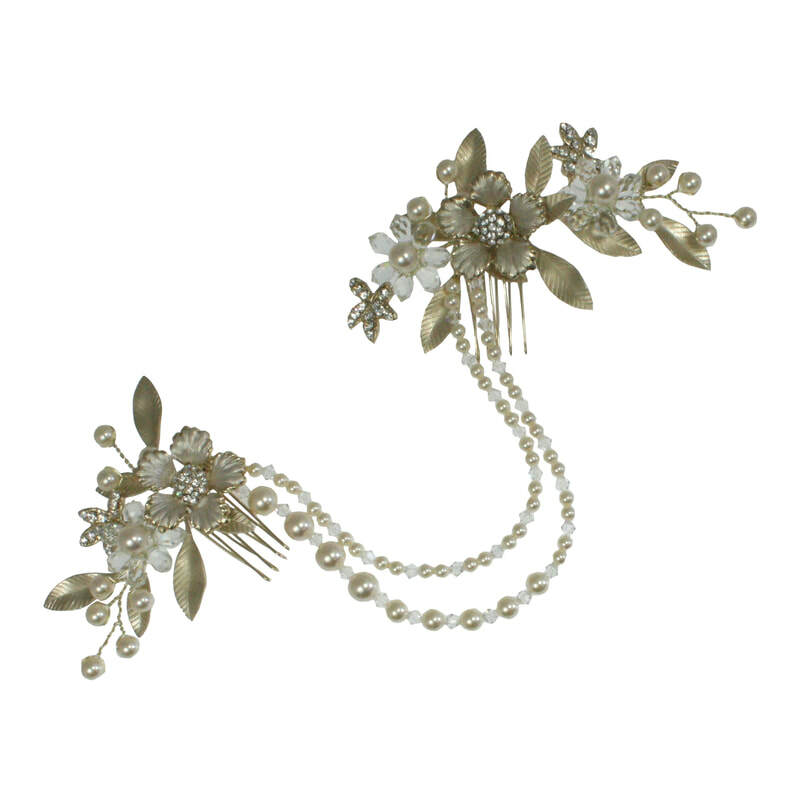 The soft gold accents and ivory enameled leaves give this handmade bridal headpiece a real vintage feel which looks great as a stand alone piece or could also be worn with a soft tulle veil. 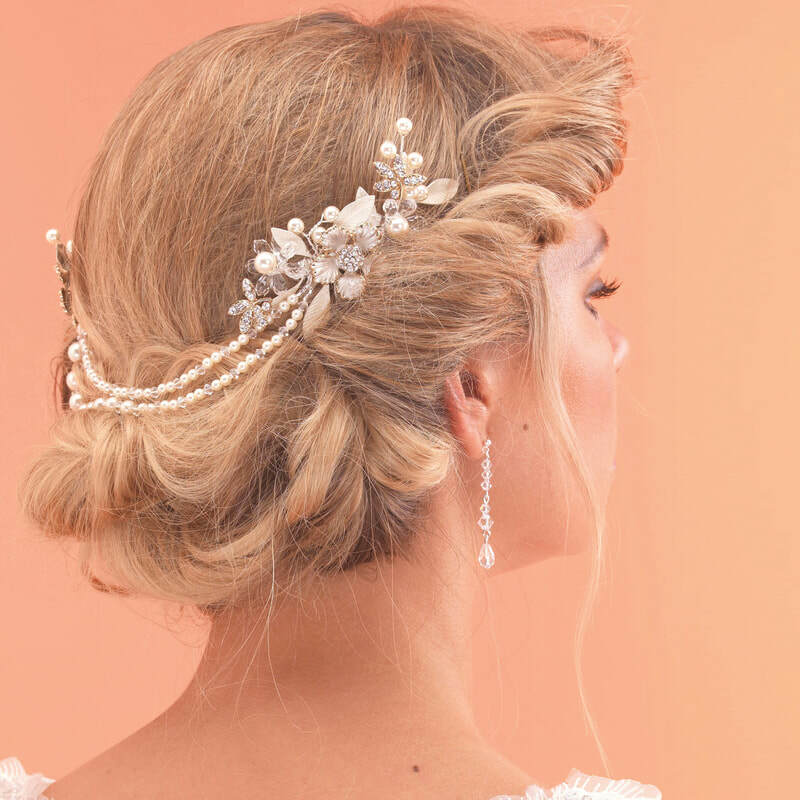 Model wears AR517 In Silver with Soft Gold Floral Accents, Cream Pearls and Clear Crystals (Crystal flowers as shown only). Also shown with Silver Accent Flowers.